Our incredible cats are in need of loving homes. We currently have a population of 200 cats. That number is always changing, so you'll need to stop in for the most up-to-date roster. Some of these cats have biographies; some we are getting to know better. Quite a few you can see only by visiting the refuge, as they are very young or very shy and are in the process of being socialized. Please take the time to read some of their stories. If you would like to meet the cats in person, we are open weekends from 12 - 3:00 p.m and weekdays by appointment only. The kitties love visitors and will be happy to see you! Once we receive your adoption application, we'll schedule a home visit with our home visit team. If you have an approved visit, and still want to adopt a cat or cats, we'll mark them as 'adoption pending' in our system while they wait for you to pick them up! Please note, kittens must be at least four months old before they are adopted. Kittens must be at least nine months old before they are adopted into homes with children under the age of six years. We also require kittens to be adopted in pairs until they are five months old, as they are very bonded to their siblings and kitten friends and can become quite depressed and stressed due to the separation. If you have any questions about this policy, please contact us. Even though we are primarily a cat refuge, we are always interested in the well being of animals that we can help. Visit our Dog Connection page to see some of the dogs we've saved who would make great additions to your family! Siglinda has adopted out hundreds of cats and kittens from the Refuge as well as taking care of many different cats and kittens in her home. She is an expert at introducing a new cat into a strange environment and her method has worked for hundreds of cats. She strongly urges you to try this approach when adopting a new cat. It reduces the stress on you, your family, and the cat. Cats that are not properly introduced can have behavioral problems so please take the time to give your cat the best start it can have. Get a medium sized dog crate (we can often loan you one). Put in food and water bowls (food similar to what the cat is eating at the Refuge will be given to you when you leave with your new cat). Feed them twice a day and give them fresh water every day. We strongly recommend giving glucosamine and Vitamin C to your cat to avoid painful urinary infections and blockages, especially for male cats. We do this for all the cats at the refuge. This approach lets your current pets get to know the new resident as well as let the new cat know the smells and sounds of your home. It's better than isolating them in a room for a week and then let them out for the first time with the other pets who could then have territorial issues. Can't adopt right now? How about making it easier for a kitty to be adopted by someone else by sponsoring a cat's adoption fee of $100. Simply click on the Donate link, submit a PayPal donation of $100, and indicate which cat or kitten you want to sponsor in the "Add special instructions to the seller" on the PayPal review page. We'll list them as sponsored on our cats and kittens page and it might just be the thing that helps someone make the decision to adopt. Another Alternative... Adopt a Virtual Cat! Do this by visiting our Cats and Kittens on our Adoption pages. Then use the PayPal Donate button to buy your virtual cat for only $20 and we'll email you a photo plus the behind-the-scenes story on your new, virtual cat! These articles may help you in your search for the perfect kitty companion. Introducing Two Cats | More Tips | And Even More Tips! Shopping List - Things to buy before you bring your new kitty home. Cat-Proofing Your Home - Make sure your home is safe for your new companion. 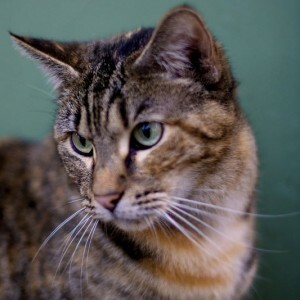 Pet Care: Cats - A collection of articles from Best Friends Animal Society. Cat Scratching Solutions - Declawing a cat can lead to physical, emotional and behavioral complications. Secondhand Smoke Effects - Cats are more prone to develop certain cancers because of secondhand smoke.